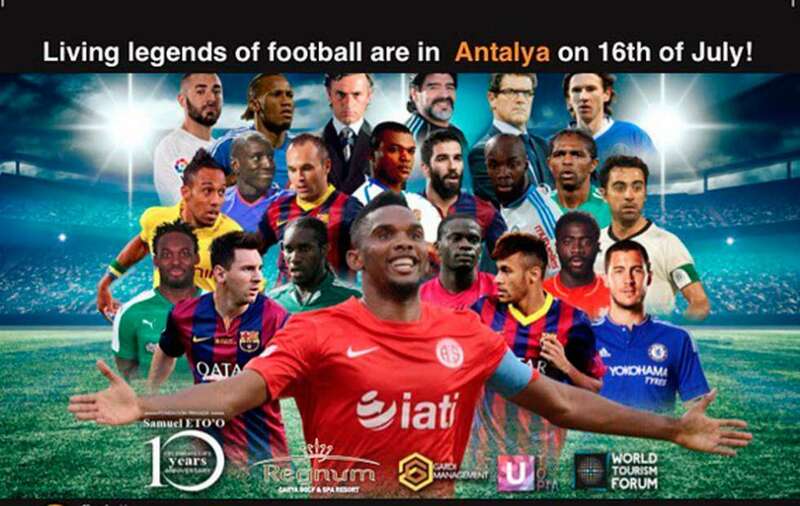 Two of Nigeria’s finest footballers of all-time, Kanu Nwankwo and Austin ‘Jay Jay’ Okocha will team up with the likes of Lionel Messi, Neymar, and Diego Maradona as they set to feature at the 10th Anniversary celebration of the Fundación Privada Samuel Eto’o on July 16. The 35-year-old who currently plays for Turkish side Antalyaspor will host 23 great footballers both retired and those still playing in a charity game to raise funds for his Foundation. The Cameroonian was in Nigeria in May to honour former Nigerian international Joseph Yobo who celebrated his 101 caps for the Super Eagles with a game at the Yakubu Gowon Stadium in Port Harcourt. The Charity match in Turkey will see Messi who is currently appealing a 21-months jail term play alongside Argentine football icon Diego Maradona and former teammate Xavi Hernandez while Fabio Capello is expected to be the manager on the day. Peter of PSquare is scheduled to also perform at the event as him and the former Chelsea star are very good friends while Mr P is a self-confessed Blues fan. One of the greatest quotes of Samuel Eto’o is when he talked about how he was treated by defenders in the beautiful game of football.